Everyone Theatre is a series of interviews with leading theatre practitioners in London. It’s their chance to make the case for getting into theatre, on either side of the curtain. Marianne Dicker is an Assistant Producer for the National Theatre. The publically funded NT has been behind some of the best and most exciting productions that we have ever seen. Not only do they have several shows on at any one time in their famous Grade II listed building on the Southbank, but they also currently have three shows playing to packed out auditoriums in the West End. Marianne has recently been producing shows for their new temporary venue, The Shed. The current show in this space, Table, has just met with our huge approval and gained a rare five star review. In all of our Everyone Theatre interviews to date, the NT has been consistently praised for offering cheap tickets to world-class productions. We are therefore hugely grateful to Marianne for taking the time to sit down with us and talk to us about the work of the UK’s National Theatre. Listen to the podcast using the player below, subscript to the series on iTunes, or read through the transcript below. Please feel free to leave comments at the bottom of the page! Everything Theatre: Hello and welcome to the fourth episode of our everyone theatre podcast series. We’re very pleased to be here at the National Theatre itself with Marianne Dicker, who is an Assistant Producer here. 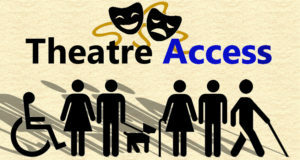 In the last few interviews, you will have noticed that the National Theatre has been mentioned on a number of occasions in relation to accessible theatre and in trying to engage new audiences. So we’re delighted to be able to have a chat with a representative from the famous building on the Southbank! The first thing we’d like to ask you, Marianne, is about you – what is your story and how did you end up as an Assistant Producer at the NT? Marianne Dicker: Well, I wouldn’t say that I was one of those people who was involved in theatre throughout school and university. I did always love theatre – I grew up in Bristol and was able to see many shows at the Bristol Old Vic and the Theatre Royal Bath, and that was something I loved doing. Probably the big break for me was that I took an internship in New York after University. That was with a company called Performa, who are a performance art organisation. I was just the lowly intern there, but I was at the heart of a team of about eight people who were producing work between the visual arts and theatre. I was thrown into it – we were producing shows all over the city, and I was doing everything from acting as PA to the director to helping organise certain events, including a massive opening show at the Guggenheim starring Cate Blanchett. It was a completely eye-opening experience to work with all these creative people in such an amazing city. I think that whet my appetite for the industry. My first job in London was at the Lyric Hammersmith as a Development Assistant working in fundraising, which as a Producer is probably the most important skill you can acquire! Being a Producer wasn’t my ultimate goal – there was nothing calculated about gathering the necessary skills to end up here – it was more of a happy accident. I started off at the NT as the Assistant to the Executive Director Nick Starr, and was then able to move into this role after working on One Man, Two Guvnors, our West End production. At the moment, I’m working mainly on shows in The Shed, our new venue, which is a small space of 225 seats. ET: The Shed is a fascinating project. Today is the first time that we have seen it in its complete state, as we walked in. Have the performances started in there already? MD: The first performance is tonight, so we’re right in the thick of it! But we’ve got such a brilliant team of technical people here that by this point everything has been handed over to them. ET: At this stage of the interview we like to ask people about their most memorable moment in theatre on or off the stage. 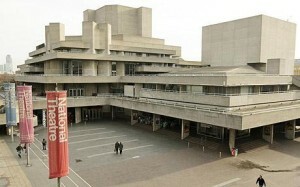 Perhaps since we’re at the National Theatre, you could give us an anecdote which you’ve witnessed here? MD: I’ve been really lucky in that the shows I’ve been involved in have been weird and wonderful productions which don’t tend to fit into the format of normal NT shows. Last summer we produced a festival called Inside Out. The companies I was working with predominantly were called Made in China and Non Zero One, and their shows happened on the two different roof spaces of the National. That was an adventure from beginning to end – trying to find where we would stage the shows, figuring out how we would get the audience up there (we had to build a staircase up the side of a listed building! ), negotiating with the engineering department and promising not break the waterproof membrane on the roof… During one performance we had a helicopter dropping poetry fly over, which deafened the audience and covered them in poetry bookmarks: working outdoors in site-specific environments certainly has its challenges! This was the production where you didn’t know where the start was when you booked the tickets. Now this wasn’t just because we wanted to create a marketing buzz; it was also because we were unsure where we would actually be! The shows hadn’t been made at that stage – and that was one of the exciting things about working with the company from beginning to end. They hadn’t made the show so they didn’t necessarily know where they wanted it to happen, and how many audience were going to be able to come, so having to keep a lot of those things quite open was key. But there was this moment, standing on the rooftop, looking over London on a beautiful day (one of the only ones we had last summer!) and thinking – this is amazing! Being able to make a show on the roof of the National Theatre is a unique opportunity. ET: You mentioned earlier that you got into producing almost as a happy accident – so perhaps you’re specifically well placed to give a pitch to people who might not have gotten into theatre yet. What would you say to them? MD: Well, I can only really talk about the behind-the-scenes side of things, as I’ve never performed myself. For me, there is something very special, very privileged about starting to work with an artist or creative team at the very beginning of an idea, where everything is completely unknown. This was the case with the companies I worked with last summer – we started from scratch. Similarly, almost all of the shows happening in The Shed this summer are in that stage: there is almost nothing we know for sure. A lot of my job is about facilitating that process, and enabling people to make the right decisions. It’s a very privileged position, to be able to work with these creative people and help them from the beginning, up to a year before, and work through all the weird and wonderful things that crop up along the way to get to the final performance. Seeing the finished product is very rewarding, and the hard work that comes before that makes that moment all the more wonderful. ET: Last November we spent an afternoon walking along the Southbank and in Covent Garden, asking people about their theatre habits. Once we boiled everything down, we came up with three main reasons for why people don’t go to the theatre. We thought we’d put them out there and see what you do, from the NT’s perspective, to counter these obstacles. The first and most obvious one is that theatre can be expensive. What would you say to people on a budget trying to see more theatre? MD: I guess the key thing I’d say is that theatre needn’t really be any more expensive than going to the cinema, particularly in London. I tend to pay between five and fifteen pounds for a ticket, maybe sometimes twenty. It’s very rare that I’d spend £40 on ticket, and that’s not because I work in theatre or because I am privileged to freebies or discounts. I think it’s really possible, if you look at fringe venues or websites like Run Riot or Time Out, to find loads of offers. The National in particular is brilliant. Not only do we have Entry Pass, which is £5 for 16-25 year-olds, but the Travelex Scheme is open to everyone. I think this year we have 95,000 Travelex tickets available, which means that anyone can book a £12 ticket for some of our biggest shows. This includes The Amen Corner, directed by Rufus Norris, or Edward II, or Children of the Sun. It’s a brilliant way to come and see theatre made in huge venues with big sets and exciting casts. You’d easily spend that at the local Vue, and that’s before you’ve even bought your popcorn! There is a real misconception that the only way to see theatre is to go to the West End and pay West End prices. Here at the National we try to provide as many opportunities as possible for people to see theatre on a budget. ET: For those who don’t know, the Entry Pass Scheme allows people under 26 to get tickets for £5, but also to bring a friend for £7.50, so the total cost for 2 people is £12.50! And you can see some of the biggest shows for that. MD: And you know, in our new venue The Shed, all tickets are either £12 or £20. We have some really exciting directors working in there. In a very beautiful, intimate space inside, with a beautiful acoustic. Another thing is that we’re not putting all tickets on sale at once. Often in small venues you can miss your chance if you don’t hear about something until the week before – tickets may have sold out months in advance, because people are on mailing lists or in the know. But we’re releasing tickets in a staggered way so that people who are a little bit more opportunistic get a chance to get seats as well. I hope that will allow more people to get in. ET: The second point is that London’s theatre scene can be pretty daunting – some people don’t know where to start. What would your recommendation be if you were trying to get into the theatre scene in London? MD: Well, at the National Theatre, you could see Othello one night, then come back and see something else in a second space a few days later, or see a different show in the same theatre. You could conceivably see six different things here in a mater of weeks. So that’s always going to be a good way to get some variety under your belt! Theatre can mean so many different things here in London that you can really cater to your own interests. If you’re into new musicals, or musicals generally, then the Menier Chocolate Factory is a brilliant place to see new work that will often end up in the West End. You’re seeing it at that amazing point before it becomes a much bigger show. Or, if you want to see new work, The Shed here is going to be a brilliant place to see stuff that has been made specifically for that space. The Battersea Arts Centre and Camden People’s Theatre also do a really interesting array of work, often stuff that’s in that work-in-progress stage. If you know what your interests are, there is always something to be found. There is something there for everyone. ET: Finally, there is a category of people to whom you say the word “theatre”, and they turn around and run. They claim ‘it’s not for me’. All the convincing in the world probably wouldn’t help them, and that situation is quite sad. So how do we avoid that happening in future? A lot of people have talked about outreach, and getting kids involved in the theatre at a young age. I know the NT has some great programs, maybe this a good chance to talk about those? MD: Yes, we have a huge learning department here which works with children from the youngest stage of childhood up to people in further education. This isn’t something I work on a lot, but one show which we are working on at the moment, Emil and the Detectives, is a show for children – about a group of young adventurous kids. Going to see something like that when you’re growing up, at that formative age, can have a big impact on people. I remember seeing some things at the Bristol Old Vic which really enlivened that passion for me. On the other hand, as I said before, theatre is such a broad category now that companies like Punchdrunk and You Me Bum Bum Train are making stuff which is going to cater for different audiences to classical pieces at the Donmar Warehouse. There is such an array of stuff out there that I really don’t think you can be so blinkered as to claim that ‘theatre isn’t for you’. ET: Now a question aimed at young new creative teams, and given our readership we’re probably talking about smaller companies in the fringe. As a producer, what advice would give to these new companies trying to get audiences into their auditoriums? MD: I think – short of raiding your contact book and making sure that everyone you know is aware and excited about your show – it’s important to think about your venue. You mentioned auditoriums, but a lot of new companies are thinking really critically now about where their show might be best placed. It can be a really exciting for audiences as a theatrical experience to go to a show in a place you wouldn’t expect. Of course, you shouldn’t decide to set your show in a public toilet just because it’s a selling point, but find the right venue which really suits your production, and think very carefully about what you might draw out from the environment you place it in. That can be a really exciting provocation for a young theatre company. It’s always going to feel incredibly competitive. If you’re serious about making theatre you need to remember that you might not get the Guardian in to see it, or a string of producers from top theatre in to discover you straight way. But it’s an opportunity for you to try things out, be bold, be strict with yourself, and work out your practice. And don’t beat yourself up if you don’t get critics in, what’s important is that you attract an audience, and there is nothing wrong with that audience being made up of friends and family to begin with. If you’ve got a good show, word will always spread and that’s the most important thing – to have the best possible piece of theatre. ET: Well, I think that brings us to the end of our questions! All that’s left is to ask what is next? You’ve mentioned a lot of exiting shows at the National, some of which you’re involved in. What for you is the most exciting thing coming up at the NT? 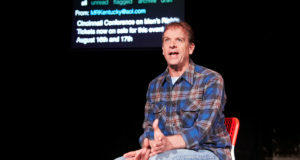 MD: Well, as I said earlier, Table is the first show opening at The Shed, and the first preview is tonight. That is the most exciting thing we have that I am personally connected to – and it’s hugely exciting for the National: the launch of a new venue. It’s going to be an incredibly exciting year of work, and there are probably still tickets left if you’re quick!